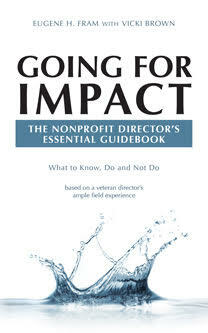 A Nonprofit Director Board or A Nonprofit Trustee Board? Nonprofit organizations refer to their board members as “ Directors” or as “Trustees.” I recently encountered one nonprofit board that referred to it board members as directors, but the charter, when referenced, clearly stated it was a trustee board. Do these board titles make a difference? They might! Look at these legal comments. It seems, as a layperson, that some nonprofit boards and managers need to review their charters to reaffirm their nonprofit status. Otherwise their financial strategies might not be in harmony with their charters, which could lead to legal issues. At the same time, they also should make certain their charters are congruent with their state statutes. *James Fishman, (1987) “Standards of Conduct for Directors of Nonprofit Corporations,” Pace Law Faculty Publications, p. 402. ← Can Lead Directors Help Improve Not-For-Profit Board Performance?